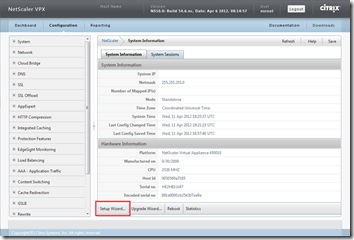 Citrix NetScaler 10.1: Where did the Configuration Wizard go? 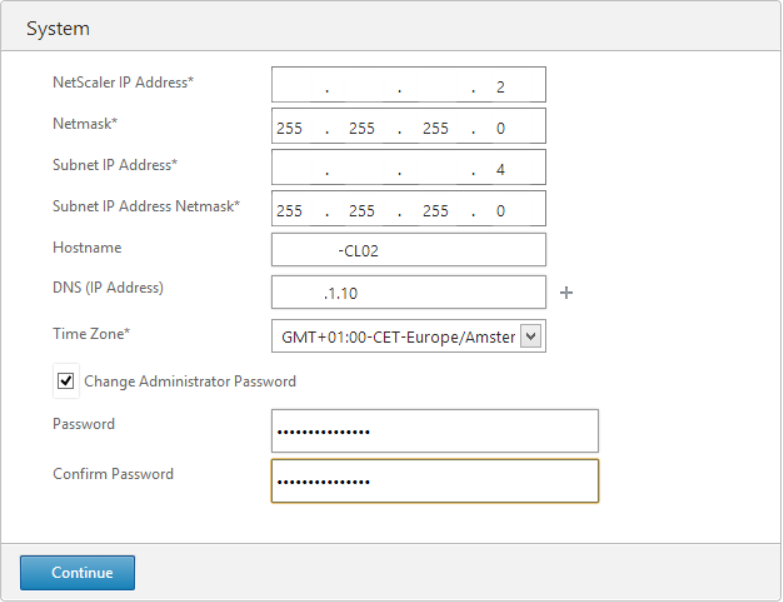 A vanilla Citrix NetScaler shows the configuration wizard right after a users authenticates using the GUI. The configuration wizard enables basic configuration like the NetScaler IP (NSIP), Subnet IP (SNIP), hostname, DNS, Time Zone and Administrator Password. Sometimes it’s useful to open the configuration wizard after it is closed (for instance if you want to change the host name via the GUI). 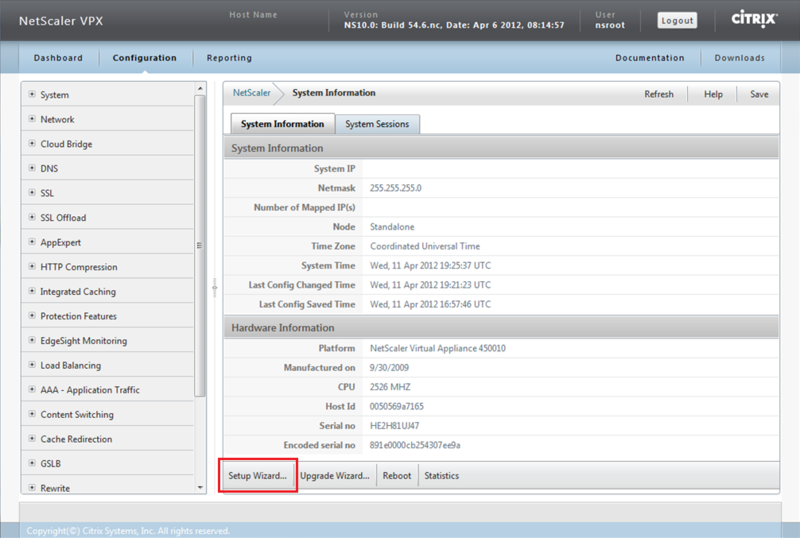 up to NetScaler 10.0 there was a Setup Wizard button on the System > System Information page. But after I upgraded to 10.1 (Build 122.17.nc) the GUI was cleaned up (nice! 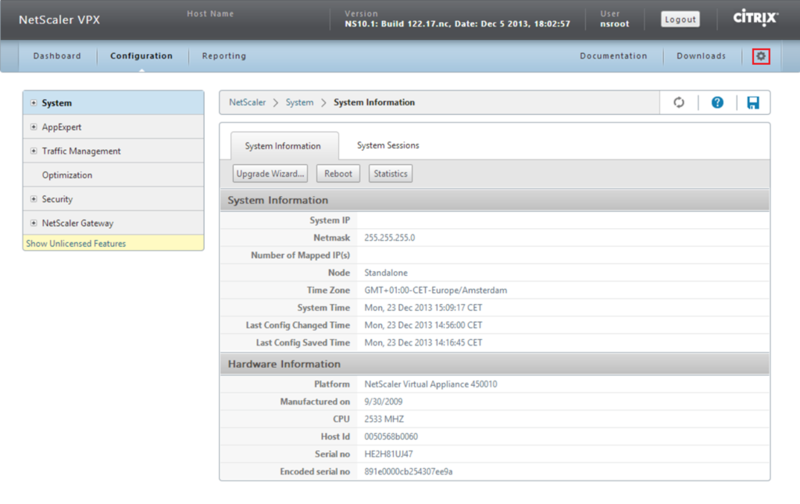 ), including the Setup Wizard button . It took me a while to find the button, but it’s still there …. on the top right there is a small button (the small bolt / nut / sun / ?) 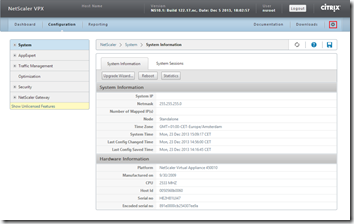 which opens the Configuration Wizard.